Recently, a friend of mine was arguing with me that atheism should be embarrassed because "no one has ever been murdered in the name of atheism." It was explained that the greatest violence in world history was due to religion and that today's violence in the Middle East is rooted exclusively in religious dogma. To that end, government must act to pressure societal rejection of faith. Be that as it may, the idea of absence of religion answering religious violence is mind numbingly inconsistent with history. The biggest mass murder and source of bigotry in our lifetimes is atheism. The nihilistic nature of atheism gives rise to state sponsored institutional murder and robbing people of their identity and culture. State sponsored atheist is the bedrock to communism. If you want to see what happens to a society when godlessness becomes the accepted belief system, look to communism. This very institution has murdered between 40 and 250 million souls in its quest for atheism in the last century. Tsarist Russia, which had many flaws, was adherent to Eastern Orthodoxy. But its eventual overthrow 96 years ago ushered in an even cruller state. In 1917, the Bolshevik Revolution was based on the radical ideology of Vladimir Lenin. He wrote in the early days of Soviet communism that to understand the nation's ideology, one must also reject the idea of a divine creator. In Lenin's own words, "A Marxist must be… the enemy of religion." One of the earliest edicts of the Bolsheviks was the banning of religious teaching in the schools. In 1922, this was expanded to outlaw religious teaching, songs, celebration or worship anywhere within Russia including private homes. In December 1953, the Soviet Union ran a public service campaign urging older Russians not to bring a Christmas tree into their home for fear of influencing children. The Soviet Union destroyed countless churches. Many were converted into drab atheist government buildings denuding their architecture and history. Bigotry and intolerance were and remain hallmarks of the godless state. In the defense of their churches, nearly 10,000 priests, nuns and monks were murdered in 1922. Stalin had worse aspirations. In 1927, he ordered the murder of 50,000 clergy in an effort to purge religion from the communist state. Millions more were killed or imprisoned for not confirming to the cruel state demands placed on them. Men became psychological and often physical slaves. A lack of absolute morality is an expedient slippery slope to the abolition of all freedom and ethical society. State atheism was a heavy handed policy. Magazines and social clubs were set up by the Soviet Union under the banner of "militant Godlessness." Museums were built solely to showcase atheism. It is incongruent that a total abolition of freedom can occur in a society which holds Judeo-Christian values as we understand them today. In the absence of faith, people will still turn to some higher being for guidance and support. The state becomes the faith of the population, with communism demanding complete trust in the leaders of government. In its ideology of godlessness, the Soviets purged millions for not confirming to state atheism and control. 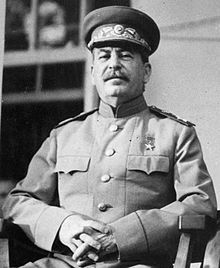 Stalin murdered millions in the name of atheism. It is no wonder that westerners with a loathing of God were so quick to sympathize with communism in the 50s through 80s. The effect of state atheism in the Soviet Union brought about crime and social decay. State supported atheism created a culture where the majority of pregnancies ended in abortion and there were more divorces than marriages. Worse still, atheism carried with it a penchant for violence and a total lack of civility coupled with antisocial behaviors which would make anyone in the free world cringe. Godlessness allowed a moral decay which permeated into the daily life of those living behind the iron curtain. Vodka consumption rose to 43 liters per person, more than five times of that in the United States and a rapid increase from Tsarist Russia. Alcoholism was a mark of public disillusionment with their surroundings. Worse so, when the Soviet Union canceled vodka rations for a week, riots broke out on the streets of Moscow. Social services were obtained only through bribery. Basic health care became dependent on your ability to bribe a physician and later a pharmacist. By the end of the Cold War, a sudden rainstorm caused all traffic to stop. Motorists stopped their cars to install windshield wipers which hidden from view to prevent their inevitable theft. The steep moral decay of nihilism was felt throughout the nation and on every possible level. State atheism brings about a drab world of militant crime and dehumanizing tendency. Of course, other atheist nations have similar track records. German National Socialism rejected religion, with children being taught nursery rhymes rejecting Christianity because “Jesus was Jewish swine.” China too is officially atheist with a long history of violence toward those with other views. Even as recently as 2003, the Chinese government ordered any individual owning a bible to spend time in a forced labor camp. The wonderful thing about the United States of America is that we are free to choose what we believe. Of course, godless societies are far more bigoted, purging any view which doesn't conform. I do not argue that all atheists are believers in communism. I do argue that all atheists who want freedom prefer to live in a society where everyone else is sectarian except them. Atheists depend on their neighbors living moral lives. Without a moral societal fabric, we fall into the drab decline of Soviet style culture – one of thievery, bribery and a total disregard for ethics. Having your neighbors believe in ethical lifestyles is paramount to maintain your own personal liberties. Without moral guidelines, people collectively disregard the rights of others. Morality and civil obedience depends on a moral code which cannot be altered by man. Atheist culture argues that morality is relative and in a constant state of revision. As such, any action – including the complete degradation of a society, its families and its history – can be justified. Of course, it is helpful to you when others follow a moral code which you benefit from without having to bother adhering to it yourself unless you feel so inclined. With moral relativism comes the justification of any action. There are no ramifications to your actions other than those you impose on yourself without accepting faith as a fabric for our society. Atheists want the benefits of sectarian morality, but without the personal commitment. If no one has ever been killed in the name of atheism, as some have suggested, I argue that person ought to study the twentieth century. Atheism is perhaps the immoral and dangerous idea recent history has known. Atheism is not a synonym for communism. Stalin, Mao, and Pol Pot killed a) in the name of Stalin, Mao, and Pol Pot; and b) in the name of communism. Nobody ever killed in the name of theism either, because theism is not a synonym for Crusade or Jihad.